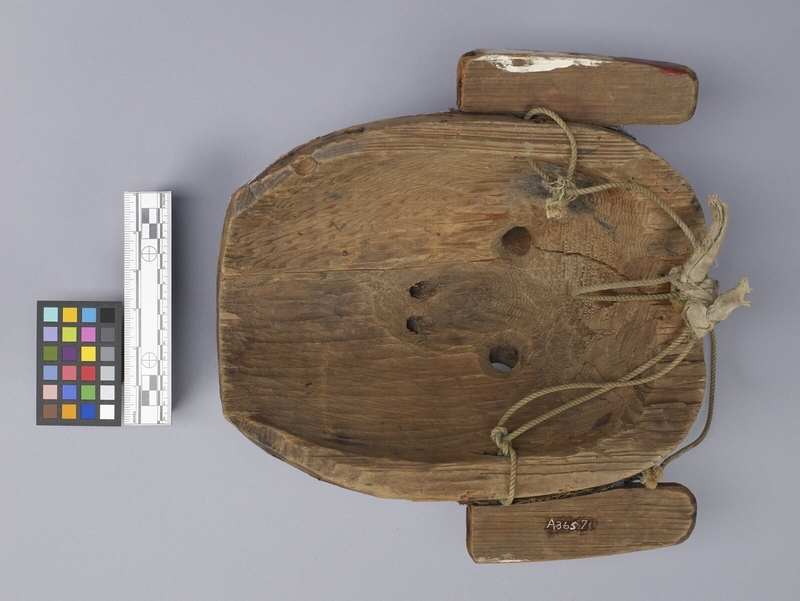 Item number A3657 from the MOA: University of British Columbia. 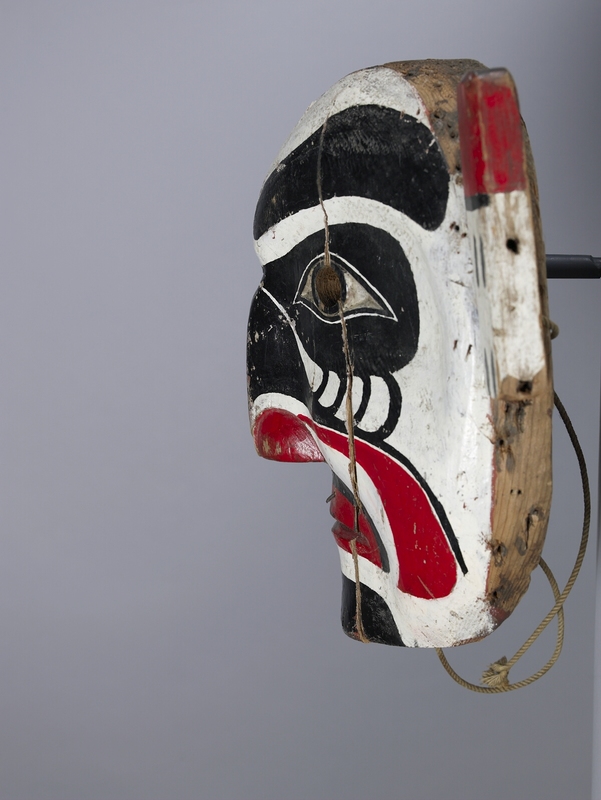 Mask painted white with heavy black eyebrows, black around the eyes with a gill-like design in black over the cheeks, red nostrils and lips, a black moustache, red accentuating the cheeks and sides of the mouth, and a black chin. Two rectangular ears protrude at the sides and are painted red and white separated by a black line. There are also two black oval marks on the mask's right ear and four black oval marks on the mask's left ear. Cord attached at back with a piece of off-white fabric knotted around it. 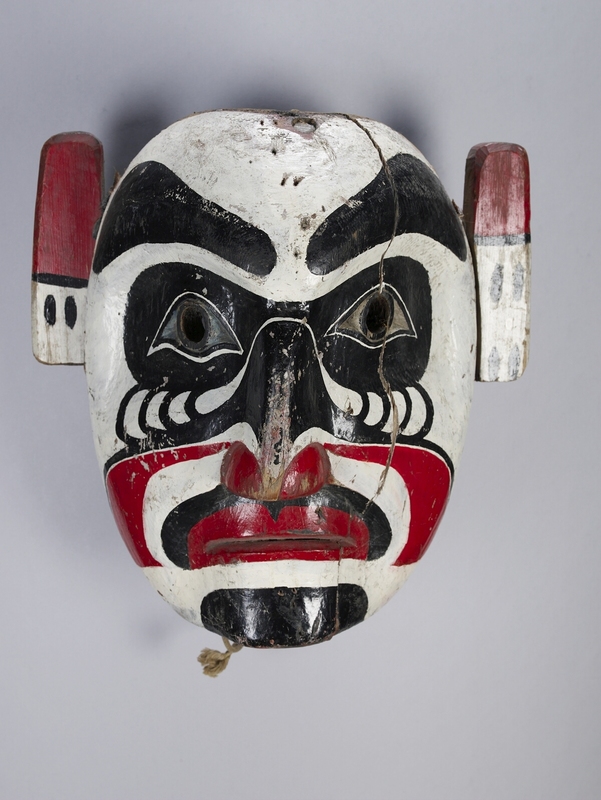 Atlak’am mask, may represent Door Keeper of the Woods, Tl!atl!apalagals. 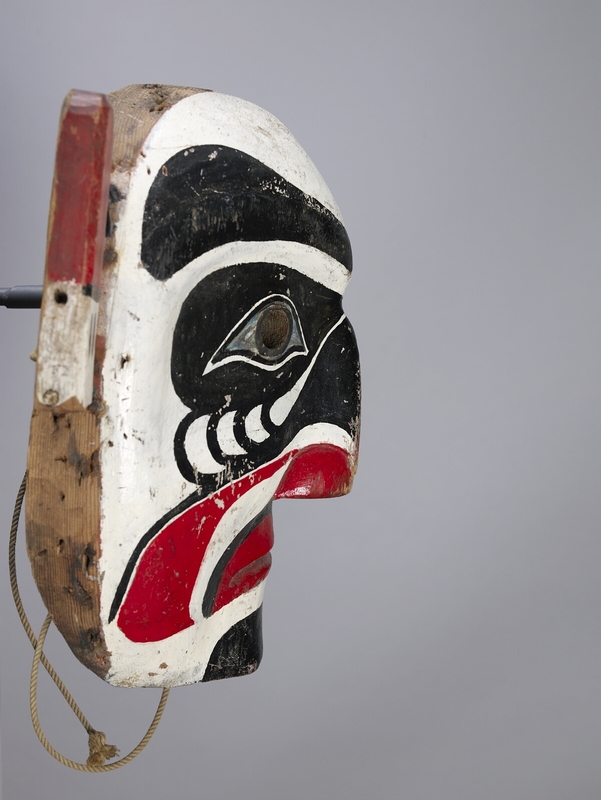 According to Dr. Ronald Hawker (in his book "Yakuglas’ Legacy: The Art and Times of Charlie James" to be published by University of Toronto Press, 2014) this mask was carved by Arthur Bondsound.